Tony Cartlidge’s first act in the wine business was co-founding the successful Cartlidge and Browne Winery in 1980. In 2011 that winery sold and his search for a second act was on. It didn’t take long. 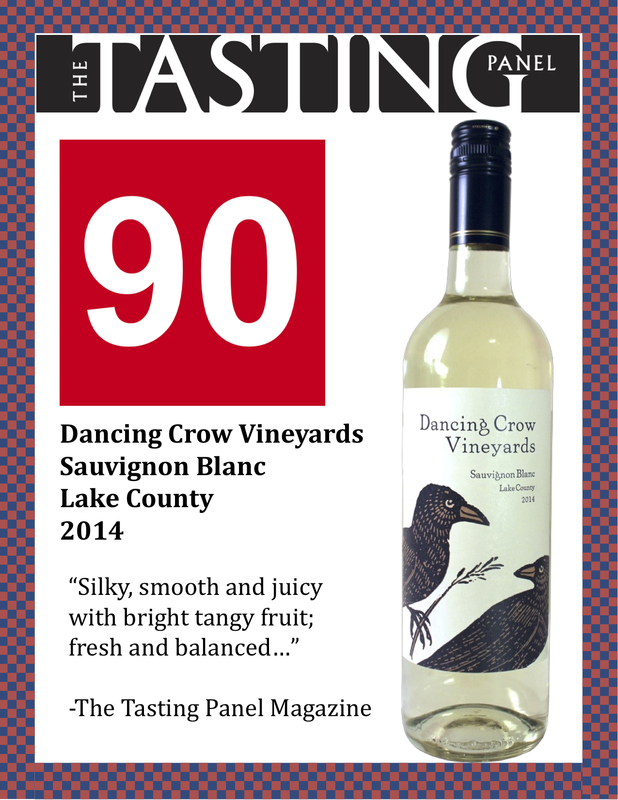 In 2014 he and his family launched Dancing Crow, which makes sauvignon blanc from their vineyard in Lake County. Cartlidge first started making wine from the vineyard some 10 years ago. To his joy, the property became available two years ago. 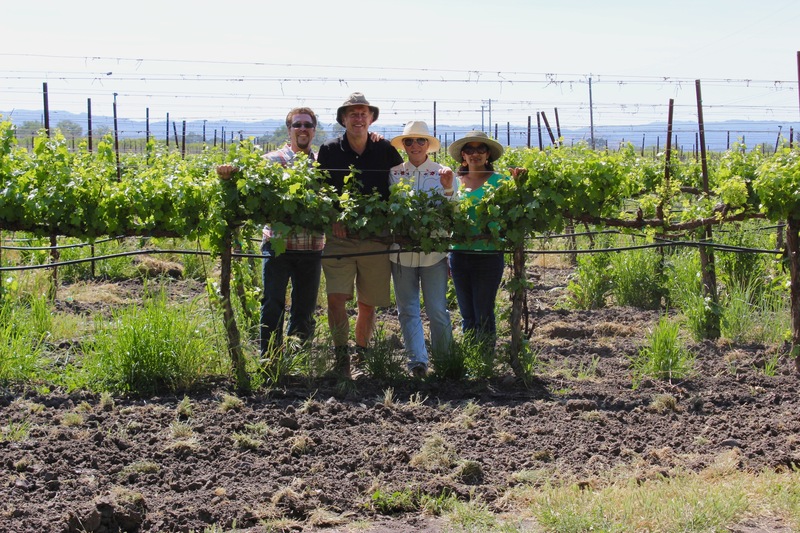 “The owners, Maile Field and Lars Craal, moved to Virginia and offered to sell the 28-acre vineyard that had been owned by the same family since the 1850s,” he said. When asked what makes the vineyard so special, Cartlidge was quick to reply. Cartlidge gathered his family and they struck out on a new adventure, this time together. 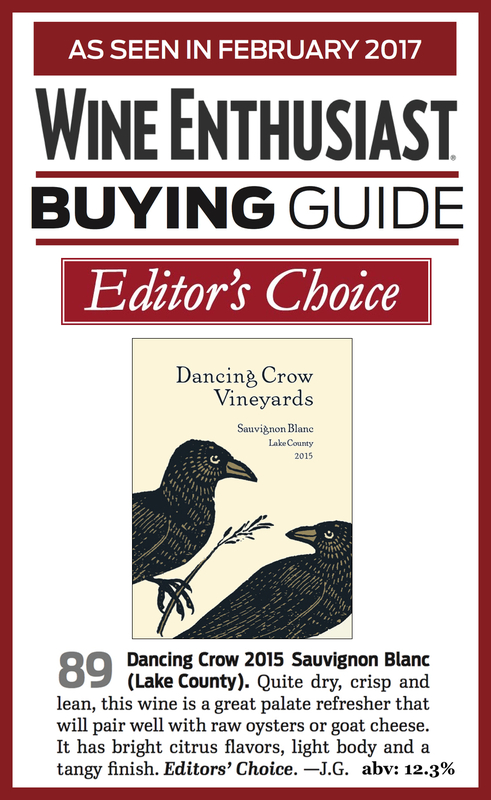 The winemakers for Dancing Crow might not be family, but nearly everyone else associated with the brand is. Adam is co-owner, his wife, Sarah, is in charge of special events, and his son Stefan heads up marketing and production. “I am even hoping that my other son, Alexander, may join us at some point,” Cartlidge said. While Adam, Sarah and Stefan all grew up in the Napa Valley, Tony was born in England. Tony had learned a little Russian growing up and found a job taking groups on camping trips to Leningrad, Moscow, Smolensk and Minsk. But by 1971 he had moved to Oregon, where he found a job driving cement mixers. “Driving cement mixers brought me down to earth and was really important for me at the time,” he said. In 1976 he left the United States to export hammocks from Juchitan, Mexico, to France. By 1977 he had come back and worked at a restaurant called The Left Bank in Walla Walla, Washington, but he left the restaurant for another cement-mixing job, this time at a nuclear power plant. But even the glamorous world of mixing cement could not keep him away from what would end up defining his life: making wine. After reading a book on California winemakers he became inspired and headed to Napa in his 1960 Rambler. He checked into the old Motel 6 and used the yellow pages hanging from the pay phone in the lobby to call wineries looking for employment. To his surprise he soon procured a job as a tour guide at Rutherford Hill Winery, and by 1980 he had started Cartlidge and Browne. Tony continued to talk enthusiastically about his fascinating past, his family and the winery while he poured the 2014 Dancing Crow Sauvignon Blanc. The wine is their first release and has aromas of citrus blossom and papaya that contrast nicely with bright flavors of pear and candied lemon rind, a lingering hint of dried apricots and an almond trail-off in the finish. The wine is complex with a rich texture considering its relatively low alcohol — 12.3 percent — making this wine refreshing and lively but not overwhelming. The price is $18 a bottle, and it can be found at Sunshine Foods and local restaurants such as Terra. When asked about his legacy, Cartlidge paused for a moment and looked wistfully into his glass. 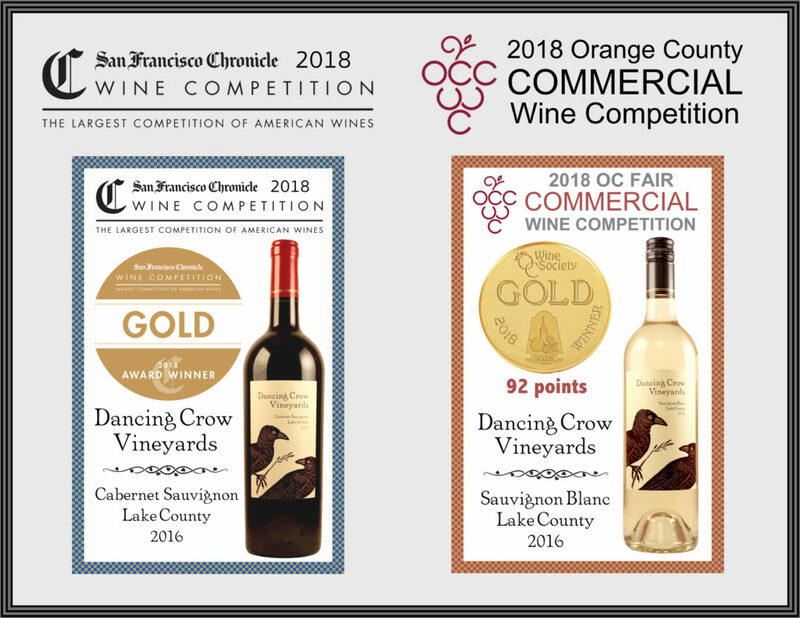 Time will tell if his wish comes true, but one thing is certain: The Dancing Crow 2014 Sauvignon Blanc is a lovely wine that comes from a new venture between one very interesting man and his cherished family and friends.